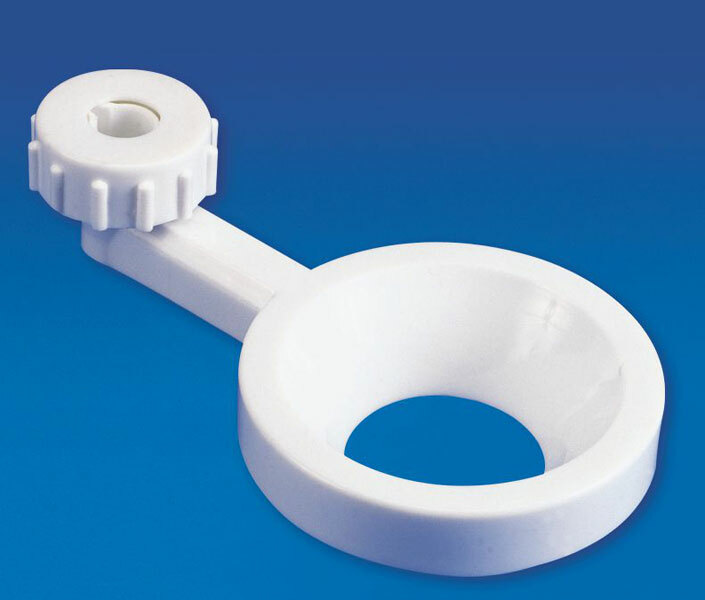 The Funnel Holder offered by us is made of Polypropylene. The corrosion free Funnel Holders can hold funnels with diameter 3" to 6". The extra plate provided can be placed to hold funnels bearing diameter 1" to 3". Two tapered wedges are provided to ensure firm grip on Rods having diameter Â½" or3/8".